By default, the address fields are only displayed for onsite gateway checkout for a paid level. This add on allows you to easily add the address fields to a free level checkout, as well as for paid levels when you are using an offsite payment gateway option (PayPal Standard, PayPal Express or 2Checkout). Upload the ‘pmpro-address-for-free-levels’ directory to the ‘/wp-content/plugins/’ directory of your site. Where does this collected info then go?? My additional fields are now showing, but i can’t find the data anywhere once a user checks out. The data should be added to the user’s profile. If you view the user in the WP Dashboard Members List the fields will be shown there. They should also be included in an export of your Members List. How do you change the default selected country? How can the user update, change this information after. And is it possible to modify wich fields are compulsory? 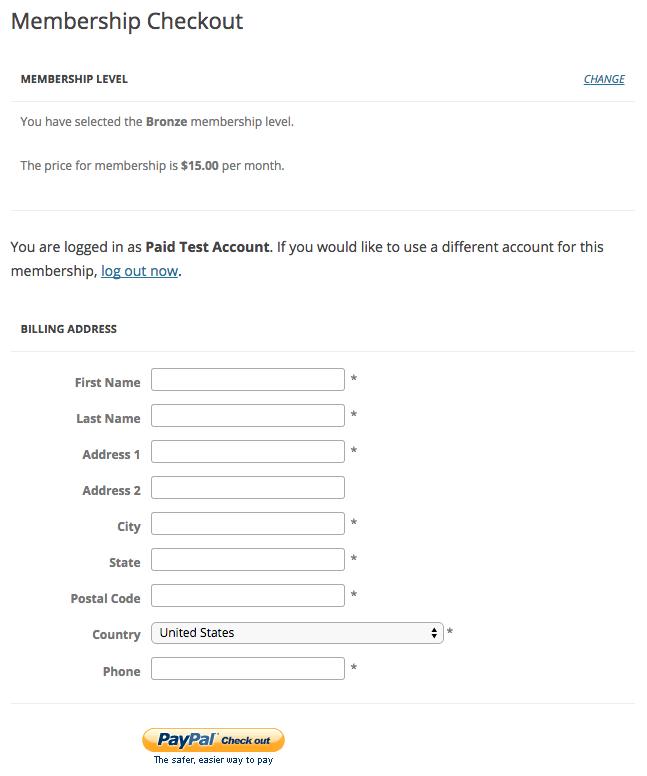 I am creating pesapal for the paid membership pro plugin , will it work with that also ? can i show pesapal option also ? It is likely that you will need to integrate this Add-On with Pesapal and won’t just work “out of the box”. 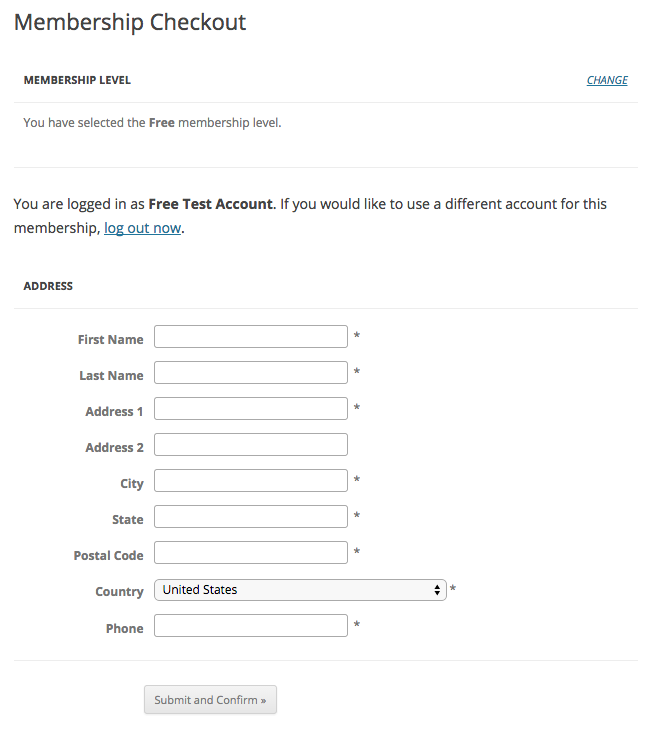 All the address fields into for the free membership are not required. How can I make sure that all the fields are REQUIRED? When I tested, the fields were required. We’d have to have a look at your specific setup. Can you post to the member forums if you haven’t done so already? Thanks. Is it possible to remove the “state” dropdown altogether? Also default country to United Kingdom? And change “postal code” to “postcode”?